As a proud carnivore, I look forward to eating Korean barbecue (gogigui). Fewer words produce the same mouth-watering sensation to me as kalbi, bulgogi, and dakgui. When I’m hanging out with similarly meat-obsessed friends, I judge their relationship with food (what’s your palate like homie?) by their exposure to Korean barbecue. “You’re kidding!” I exclaimed recently to a friend in LA whose understanding of Korean cuisine had only consisted of a few tentative bites of kimchi. Shaking my head, I proclaimed, “You simply haven’t lived. Let’s go tomorrow.” The reason for my (at times overbearing) excitement goes beyond the fact that Korean barbecue is downright delicious. To me, Korean barbecue is more than just a meal. It can be a culinary experience that highlights food’s ability to pass beyond the bounds of simple sustenance. You should not eat Korean barbecue to just “refuel” your body. You should take the time to celebrate and respect the significance of the meal. Korean culture and tradition define gogigui. The meal comes with a history and flavor (!) all to its own. Koreans take pride in that amazing taste in your mouth. You’re not just having ANY barbecue. You’re enjoying gogigui. There’s a reason that those seemingly unlimited side dishes (banchan) work so well with grilled meat. Koreans knew how to make BBQ their own. Pass the lettuce please. Fortunately for us all, Korea is not the only country in the world that takes such pride in its char-grilled goodies. While my American heritage means that I’ll defend the virtue of hot dogs and hamburgers until the day I die, my world travels have introduced me to another particularly noble barbecue culture: South Africa. South Africans are a meat loving people. Biltong (similar to jerky) is a popular snack food whose solid place in South African culture is obvious to any outsider. While I never considered buying Jack Links or Oberto products growing up, I embraced biltong (particularly kudu and ostrich) like a madman. Maybe it was just fun to think to myself, “I’m eating an ostrich right now.” Who knows. The braai (Afrikaans for “barbecue” and “grill”) is where the meat eaters of the rainbow nation get down to business. 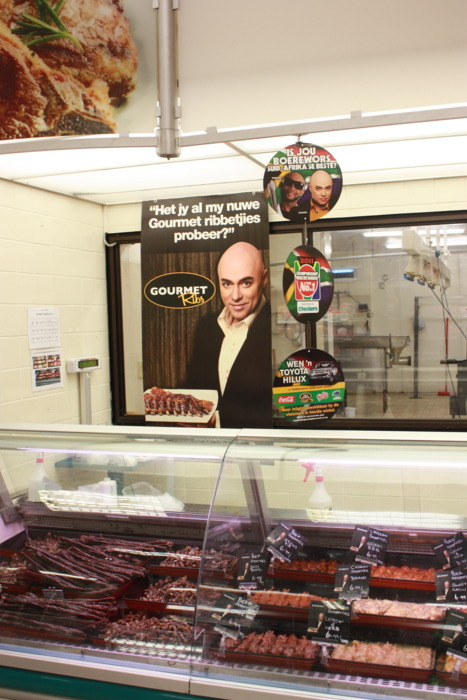 While the word is derived from Dutch, it is widely used today by English-speaking South Africans to describe both the cooking of the meat itself and the social dining that inevitably follows the grilling. Wood is the most widely-used braai fuel. It is acceptable, but not optimal, to use charcoal or even *gasp* gas. Some make a bigger deal of this than others (see videos later in post). The typical braai meat include boerewors (sausages of minced beef or pork and spices), sosaties (skewered lamb or chicken), snoek (fish common in South African waters), or marinated chicken, pork chops, or steak. Pap (porridge) is a traditional accompaniment to the cooked meat. Pap is made from ground corn and is similar to polenta or grits. Other popular sides include potato salad and toasties, or grilled sandwiches. Alcohol, particularly beer, is standard. Your only excuse for not having a beer in your hand comes from holding the tongs for the grill. Friends. A braai is not complete without others to share it with. South Africans love to braai so much that some pushed for the country’s Heritage Day, September 24, to be rebranded as National Braai Day, now called Braai4Heritage. Even Archbishop Desmond Tutu, the famous anti-apartheid figure, endorsed the carnivorous holiday. One South African, Jan Scannel, went so far as to get his country in the Guinness World Record Books by grilling non-stop for 30 hours. That’s some serious dedication. The following youtube clips give a sense of how proud South Africans are of their barbecue. They are both over the top but amusing. To clarify, women can braai just as well as the men can. I bow to Diane. During the summer of 2011, I had the pleasure of living in Cape Town, SA. While many aspects of South African culture were foreign to me, I found common ground with many South Africans over their love for the braai. My experience at Mzoli’s, a butchery in one of Cape Town’s townships, Gugulethu, really opened my eyes to the power of food to unite people. 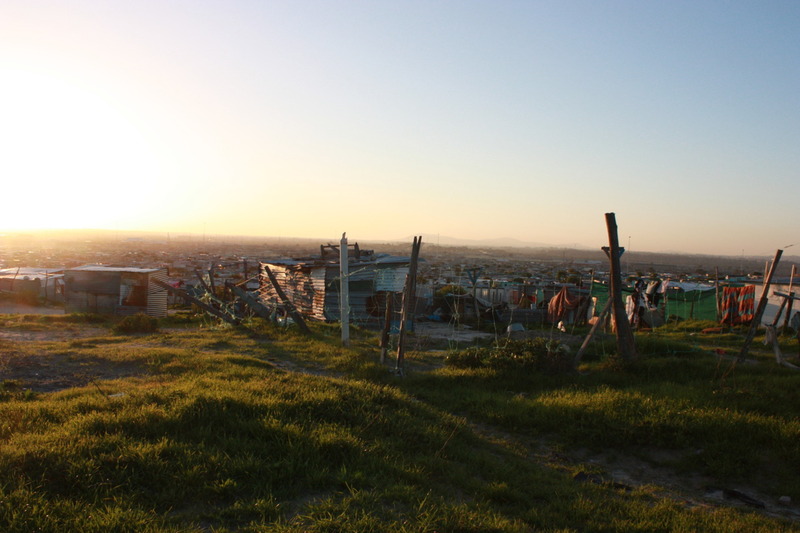 Gugulethu is primarily an extremely poor black area which was essentially off-limits to white visitors during apartheid. However, Mzoli’s has changed that. Today, Mzoli’s (http://www.capetownmagazine.com/african/Mzolis–Gugulethus-church-of-meat/92_22_17492) is one of the most popular gathering spaces, for individuals of all colors, in Cape Town because of its simple take on the braai (you eat lamb, chicken, or sausage with your hands and the smell stays with you for days). At Mzoli’s, the concept of “foreigner” or “different” is not as binding as it once was. While I first thought the idea of a national holiday dedicated to grilling was silly, my times at Mzoli’s made me think otherwise. A universal passion for the braai can only benefit South Africa, a country with a fractured past, going forward.